Although we are in the midst of the play-offs there is still major development work occurring throughout the region at ground level. In today’s article BNI wish to recognise the work being done by Joey Hale from the Omagh Thunder in the Enniskillen region and the Newry Fliers Basketball Club who are volunteering a lot of their time to develop basketball in their region. Joey has been working to build a club in the south-west of the region, currently he has 3 school s actively playing as well as two evening sessions, one for juniors and one for seniors. Joey recently had a schools blitz hosted by St Michael’s College in the newly updated sports hall and they invited St Joseph’s College and the Erne Integrated college to play a round robin style tournament. This type of event is hoping to become an annual tournament between the schools to help develop the sport in the Fermanagh area, increase participation, offer student the opportunity to play a minority sport and represent their school. Erne Integrated won the competition but it was really about giving the players an opportunity to play and BNI officer would like to give a special mention to tournament MVP Matthew Jones who showed all the skills to play club senior level basketball, Patrick Mulligan who attacked the basket with fearless abandonment and Chris Burns who outshone everyone with a tireless work-ethic who did the little things to help his team win i.e. great defence and rebounds. BNI would like to thanks Joey as it’s project like this that start new basketball clubs and culture! 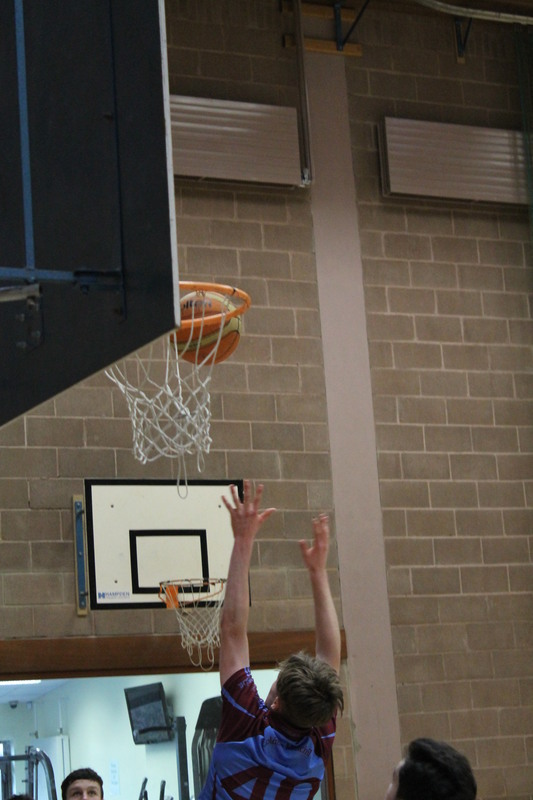 Newry Fliers Basketball has launched a female programme after a 15 year hiatus from the female competitive games. The investment from SNI sport for all and Active Communities has supported the club to coach at primary schools level and in secondary level schools, Newry are now running 3 age groups for females and this has led to entering competitions this year at under 14 and under 12. They hosted their first blitz this season for other clubs and below is the review. With boys and girls teams running side by side the Newry Fliers faced tough competition on all fronts. The slightly more experienced boys’ team were ably lead by Rory Jennings and Tiernan Burns to two victories across the day and losing out to strong teams from Star and Queens. But the boys showed determination and a willingness to improve their burgeoning skills. The U12 girls team fought hard and worked throughout the day but were unable to take home a win. The team started the tournament on shaky ground but grew in strength across the day. Facing some strong and experienced competition the blitz has once again given the team lots to work on for the future. Overall the day was a great success thanks to Fliers past, present and honorary. The tireless work of these committed volunteers is taking this once small club to ever growing heights. Again BNI would like to praise the club on their attempts to expand the club to the whole community!! ← BNI players make the final cut for Irish teams!